Do you know the No. 1 trait of the world’s top dividend stocks? When I ask this question during presentations, people throw out a bunch of ideas. I’ll hear things like good yields, rising payouts, and savvy executives. I like these answers, but they’re wrong. Well, they’re not wrong per se, but they’re not the No. 1 trait of top dividend stocks. The top trait is more obvious than you’d think. I started my investing career in the middle of the dotcom bust. During those early years, I tested out a bunch of strategies: swing trading, technical analysis, growth investing. But I seemed to have the reverse Midas touch; everything I bought turned to losses. One day, while working as an intern at a local brokerage office, I met a longtime customer in the lobby. After explaining my frustrations, he pulled out a few dividend checks. As the client explained, he now collected more in distributions from those stocks than what he originally paid for them decades ago. Forget about the cliché of a light bulb turning on in your head; this was like having a row of red, white, and blue ambulance lights flashing on and off inside my skull. The big, loud siren blared, too. Suddenly, investing seemed so much simpler. Why waste my time with struggling concerns trying to squeeze out a profit? Companies with a monopoly (or near-monopoly) already earn outsized margins and can jack up rates each year. As long as you buy them at a reasonable price, you’re going to do pretty well over the long haul. That conversation has stuck with me for years. 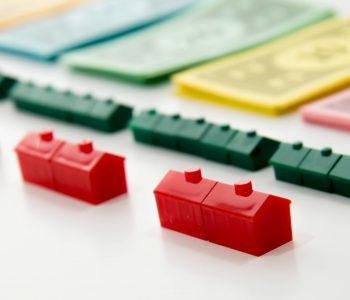 And when I look back on my best investment ideas, they often turn out to be monopolies. For that reason, I tend to keep a whole bunch on my watchlist. Then it’s just a matter of waiting for “Mr. Market” to hand me a bargain. To help get you started, I picked out five of my favorites. To be clear, the table below doesn’t represent a list of “buy” recommendations. Some of these stocks look a little expensive, so I wouldn’t put fresh money to work in them right now. That said, all five companies own monopolies, or something very close to one. And for income investors, that makes them interesting names to keep an eye on. Let’s say a few words about these top dividend stocks. Buckeye Partners, L.P. (NYSE:BPL) and Enbridge Energy Partners, L.P. (NYSE:EEP) both churn out some of the highest yields around. They are also both looked down upon because the oil patch has fallen out of favor on Wall Street. Low energy prices have hammered profits, future growth looks meager at best, and the excitement has moved into new technologies like cryptocurrencies and e-commerce. Here’s the thing: pipeline operators like Buckeye and Enbridge resemble toll booths rather than oil drillers. They earn a profit on every barrel of crude that flows through the network. While prices can vary wildly from year to year, the total volume of crude that is shipped stays rather consistent. And because new pipelines cost billions of dollars to construct (never mind the political battle to secure rights-of-way), existing routes rarely face direct competition. This allows owners to collect large, growing profits decade after decade. Most people have never heard of Brookfield Infrastructure Partners L.P. (NYSE:BIP), but, in the financial world, this operation swings a big stick. Management has accumulated more than $16.0 billion in infrastructure assets worldwide, including utilities, highways, and railroads. All of these properties amount to tiny monopolies, paying out bond-like checks to owners. And with a distribution yield approaching 4.6%, this name will likely beat the pants off of Treasury notes as the years tick by. You have a straightforward story at American Water Works Company Inc (NYSE:AWK): it’s a well-run utility serving millions of customers across the country. It doesn’t make sense to install two sets of water pipes into everyone’s homes, meaning this firm enjoys total control over the marketplace. And because water distribution represents an essential service, the company’s product is pretty much recession-proof: plain, predictable, and profitable. It should come as no surprise that shares have delivered double-digit returns since going public in 2008. Waste Management, Inc.’s (NYSE:WM) story is similar to Buckeye and Enbridge. Most people disregard this company because garbage collection doesn’t represent the most exciting business. The company’s landfills, however, often serve as the only place in town to throw out trash. This allows Waste Management to charge oversized disposal fees, often raising prices each year. And because the business doesn’t cost a lot of money to keep running, most of these profits get paid out to owners.